Instrulink LLC is a Phoenix, Arizona based company providing general and electrical contracting services. We are fully licensed, insured and bonded for both the CR-11 Electrical and dual KA General design and construction. We are owned and operated by Robert Doenges. 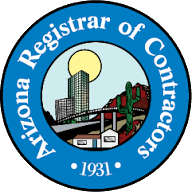 Our R.O.C Arizona licenses are 297790 Electrical and 304738 General.